10 x 4-Pin Tactile Switch 2.54mm Micro Push PCB Arduino Shield. 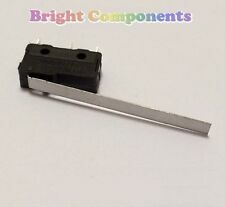 This set of 10 4-pin push-to-make tactile switches allowing for switch interaction in your circuit within a close proximity of the soldered surface. These Micro Switches features Single Pole Double Throw (SPDT) Type, 1NO 1NC Contact, Momentary Action, Short Straight Hinge Lever Actuator, 3-Pin Terminals, etc. Easy installation and long using life. Widely used in electronic equipments, Microwave Micro Door/Oven/Refrigerator Interlock N/O / N/C Switch etc. AC 125V 5A Overall Size(Pin not included) : 20 x 6 x 10mm / 0.8" x 0.2" x 0.4" (L*W*H) Hinge Lever Length : 15mm/0.6" Mounting Hole Dia. : 2mm / 0.08" Mounting Hole Spacing : 9mm/ 0. 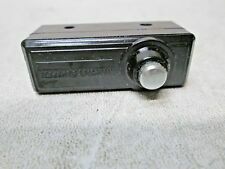 Brand new, high quality roller lever action microswitch. Ideal for general purpose use. 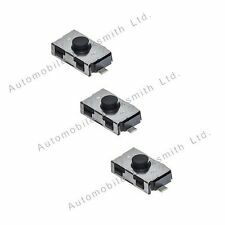 Quantity : 1 Switch Action : Roller Lever Microswitch Maximum Rating : 5A at 250VAC Operating Force : 0.25N Release Force : 0.04N Pre-Travel : 4.8mm Over-Travel : 1.2mm Differential Movement : 0.9mm Operating Temperature Range : -10°C to 125°C Operating Life : 1000000 operations Size : 20mm (Body Length), 5.8mm (Body Width), 9.5mm (Body Height) Connector Height : 4mm Lever Length : 17mm . This module is ideally suited to adding a keypad to your project. This is the 4x4 matrix keypad. 16 Button micro switch keypad. Pin pitch Main Colour We are here to help you in any way we can. Number of Pieces. Funduino 4x4 Matrix Micro Switch Keypad Module Pi Uno Arduino. 16 Button micro switch keypad. This module is ideally suited to adding a keypad to your project. This is the 4x4 matrix keypad. Main Colour. 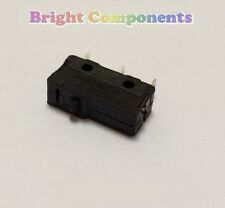 2 Pcs Electric 1NO 1NC Contacts Push Button Micro Switch BlackThe Micro Switch offers long service and operations life. This Micro Switch is free from overtravel restrictions, permit easy setting. It is widely used in electronic products, instrument measuring appliance and domestic electric appliances and so on. Brand Unbranded MPN Does not apply UPC 4894462033562 EAN 4894462033562 ISBN 4894462033562 Designer/Brand Unbranded UPC 4894462033562 EAN 4894462033562 ISBN 4894462033562. Lever Length 28mm/1.1". Actuator Type R Hooked Lever. Main Colour Black, Red. Model V-156-1C25. 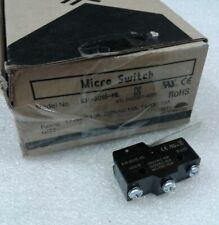 KH-9015-CRP KOINO Normally open/closed UR UL Approved Micro Switch NEW!!! Koino KH-9015-CRP. Normally open/closed UR UL. Micro Switch. Micro switch. Sub miniature V4 5A 125v rated. Lever, simulated roller, and roller lever types. 6.4mm wide. Actuator Style:Roller Lever. This does not affect overseas orders. We want you to feel confident that you are purchasing the right product from the right Electronic Component supplier. (These are built quite a bit more robustly in our opinion). Micro Push switch, 6 pin latching, push on - push off. Bag of 25 pieces. width = 7.5mm.